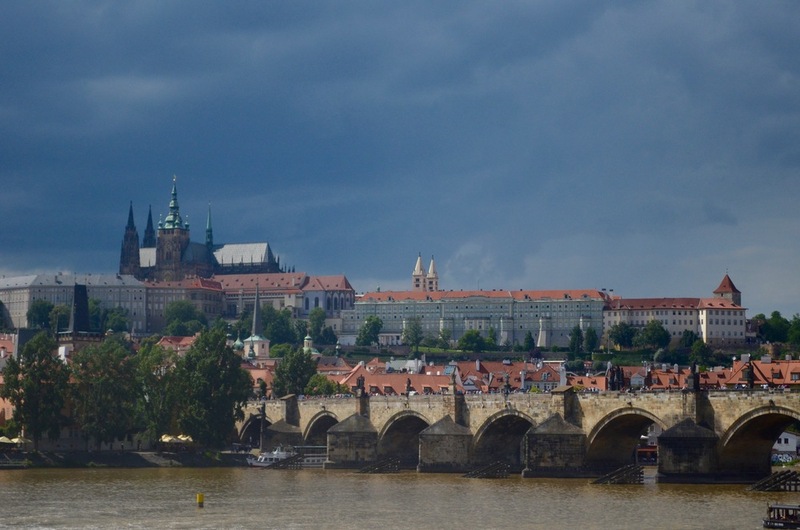 Prague was the first real destination on our trip—and I knew it would be good. I’ve heard for months and years now from friends that I would enjoy the beautiful architecture of the city. 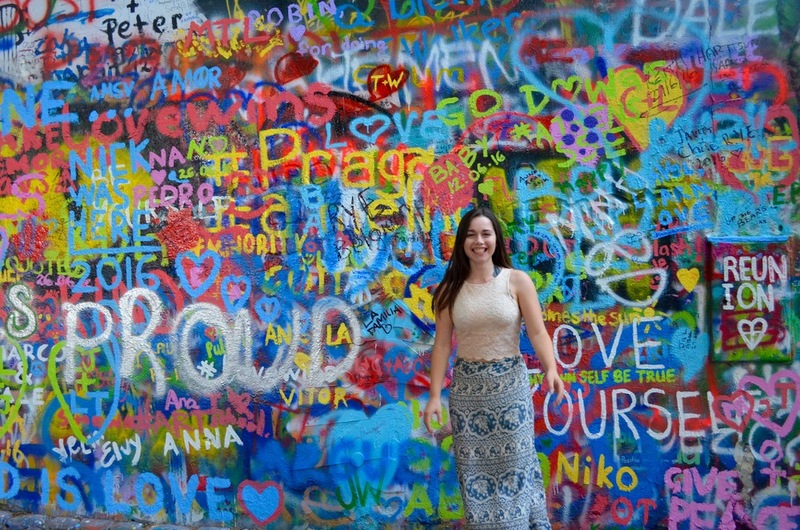 However, not only was I entranced by the curving streets that are graced with wedding cake houses and graffiti, I found that the people and the vibe of the Czech Republic made it my kind of place. This is a tourist highlight of the city, this 600 year old clock is beautiful. The apostles parade out as the clock strikes the hour. It has a clock face that gives the normal time, as well as the position of celestial bodies and the current zodiac sign. There are four other figures around the main clock face, representing the four greatest fears of mankind: death, greed, vanity, and foreignness. 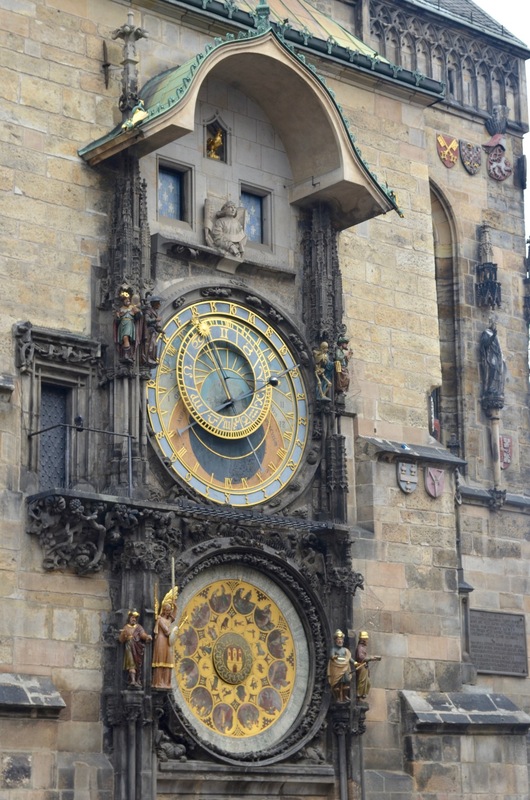 It is the oldest, still-operating astronomical clock in the world, so be sure to see it in action. The Jewish population in Prague was ordered to move into a single area, now called the Jewish Quarter or Josefov, in the 13th century. 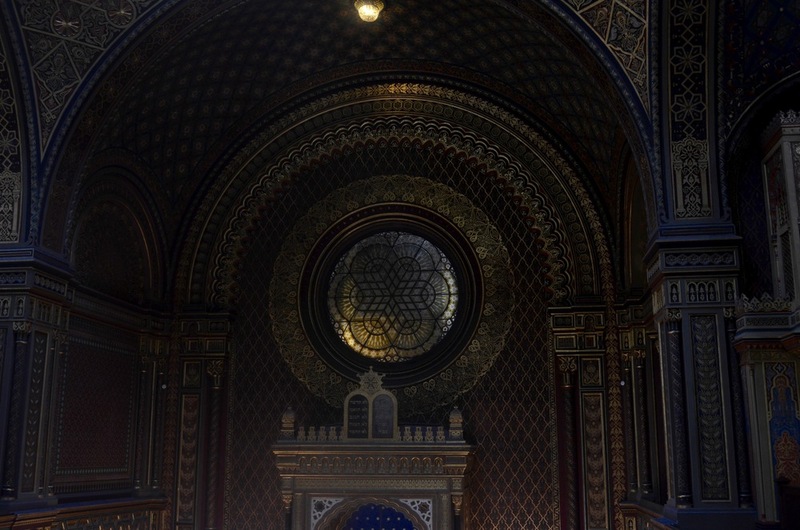 There are quite a few synagogues here, the most beautiful and decorated being the Spanish synagogue. The area was actually preserved by Hitler, as a ‘Museum of an Extinct Race’ and it still contains many of the Jewish artifacts that he brought from other places to Josefov. 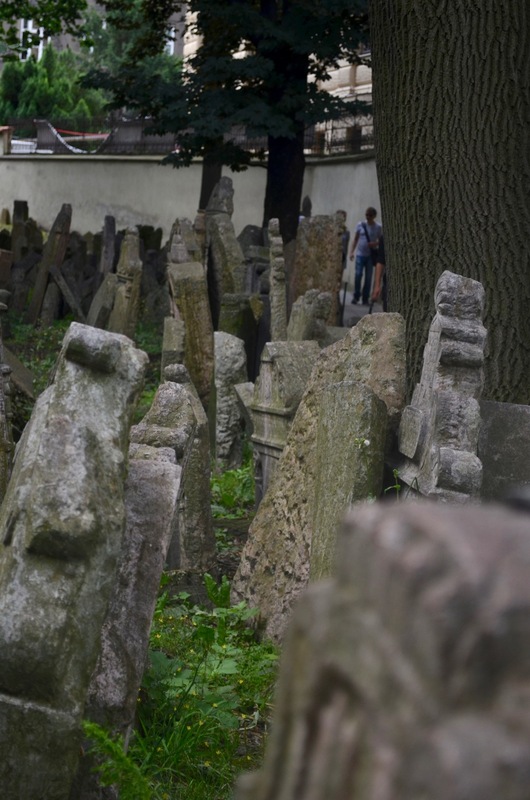 It is important to also visit the Old Jewish cemetery here, which was the only plot of land where Jews were allowed to be buried in Prague. Thus, there became up to ten layers of graves in many areas, with 12,000 tombstones and many more unmarked graves. 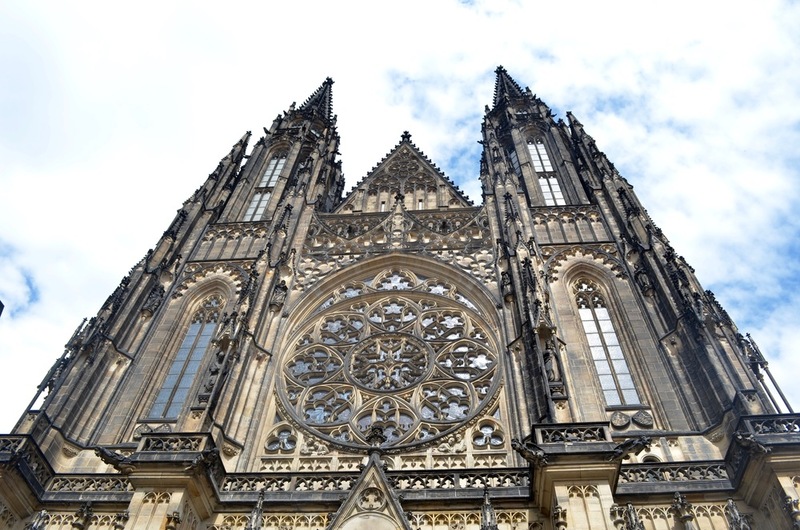 This is probably the biggest ‘must-see’ of Prague. A sprawling complex with many different styles of architecture built through the centuries creates a hodgepodge of buildings that is quite charming. It is also the largest castle in the world, no big deal. The mix of architecture styles on the castle. 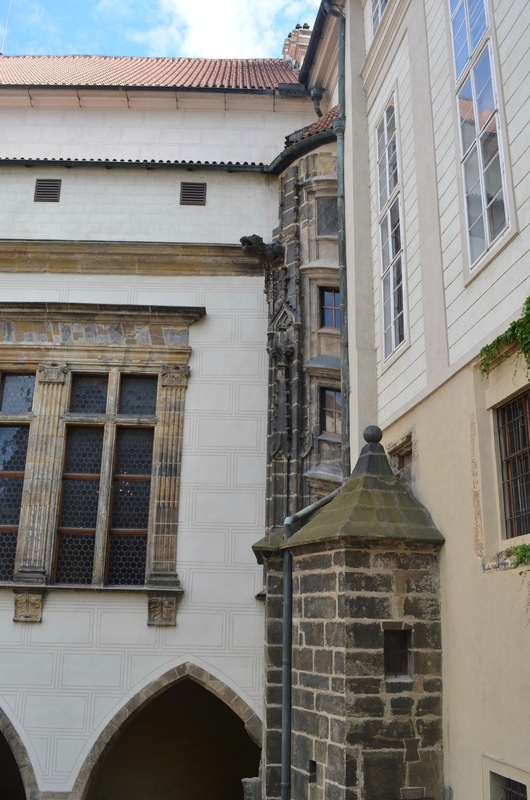 The Klementinum is a complex of buildings near the Charles bridge, containing a beautiful Baroque library and an astronomical tower. You can take a guided tour that goes through both; however, be warned that you can only peer into the library and pictures are not allowed. But the library is rich with astronomical tools and many old books and the view from the tower (if you can survive the trip up and down many steep stairs) overlooks the entire city. The frescos in the tower were pretty amazing too! 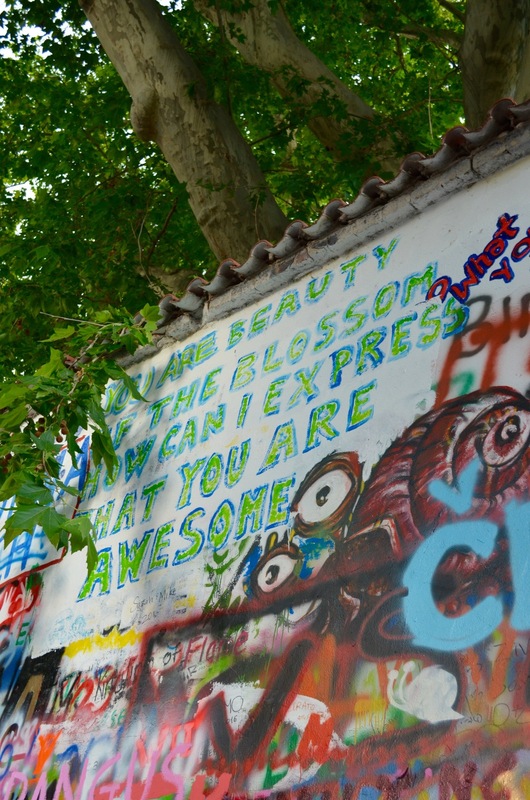 Here is a simple wall that once was graffitied with a picture of John Lennon and some Beatles quotes. Now it has become much more, as layers and layers of positive graffiti have built up to create an ever-changing mural. 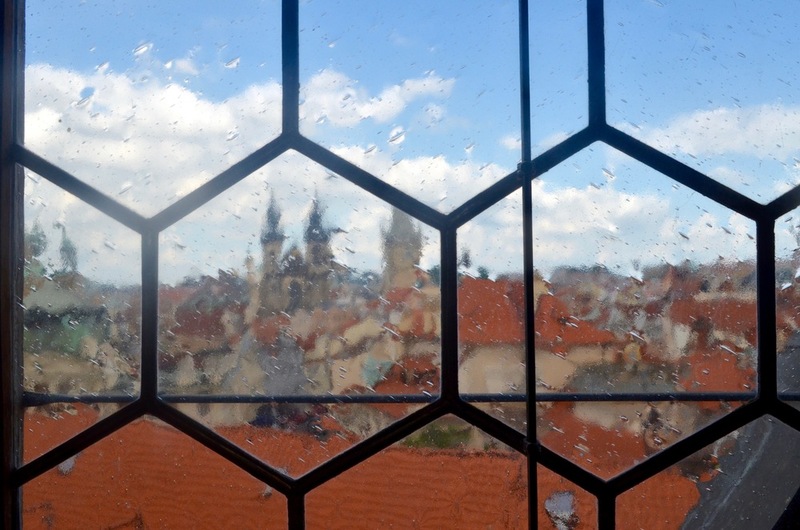 A Note Concerning Your Safety Near Windows: There have been three defenestrations of Prague. What is that, you say? Defenestration, as in throwing someone out of a window. It started with a very angry mob of Czech Hussites who threw seven city council members out of the window of the New Town Hall on Charles Square. We were told this is why many pubs are underground and why you should never enrage a Czech person above ground level. Lehka Hlava was a magical vegetarian restaurant that we heard of again and again from other travelers. 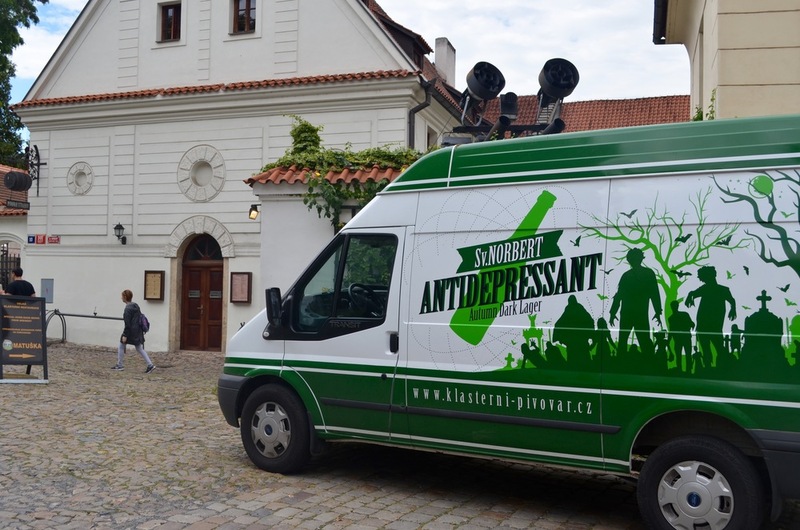 This funky place, ‘clear head’ in Czech, will leave you feeling refreshed and full. We ordered the daily special which comes with a starter, water, and entree. We had a spinach soup followed by fresh pasta and it was delicious. We seriously tried to get back there for a second meal before we left Prague, it was that good. Plevel was a vegan cafe and restaurant near the edge of town, but conveniently near to the hostel we were in. Filled with locals and fun artwork, the veggie burger was yummy and there was a large variety of vegan food for a very reasonable price. And after your veggie meal surrounded by Czech hipsters, I suggest you take a walk in the opposite direction of the city center; we did this and really enjoyed the local life that we saw. 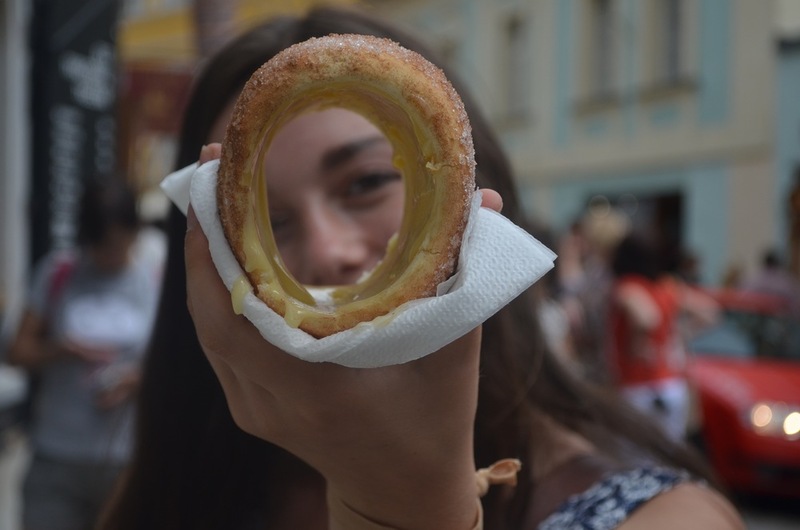 Trdelnik—okay so this is not a place, but a food. 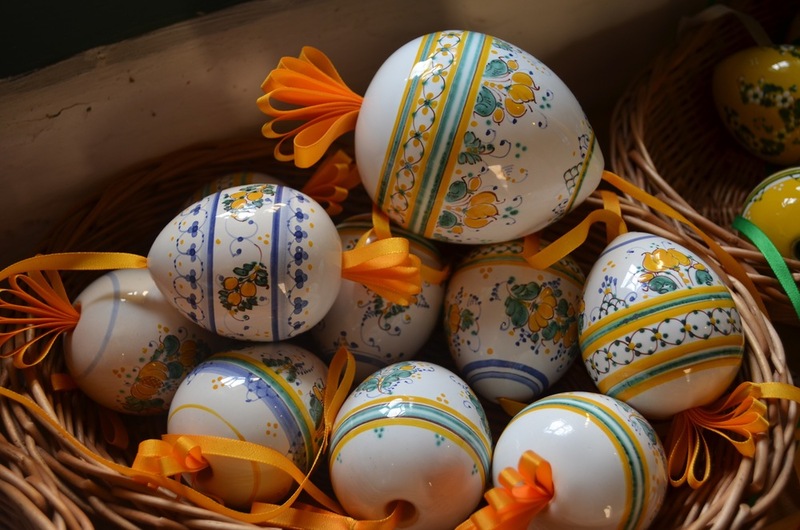 It is the famous dessert of Hungary and the Czech Republic. It is basically pastry dough cooked around a heated cylinder and rolled in walnuts and sugar. You can use them as an ice cream cone or get different fillings spread on the inside (mine was vanilla cream). If you walk down the sidewalk in Prague and smell something that is absolutely heavenly, it’s probably the trdelnik, and I would highly recommend that you stop and have a taste. 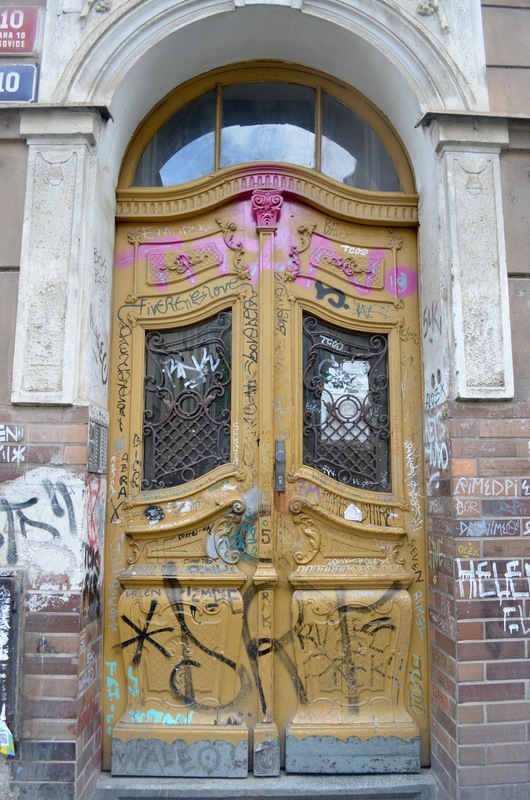 There are multitudes of good hostels that are inexpensive in Prague, and personally I had a great experience at the Czech Inn. (No, I did not manage to hold a straight face when I walked in for the first time and announced I was there to ‘czech in.’) It was quite clean, the beds were nice, and many of the guests hang out in the common areas, so it’s easy to make friends. If you’re not in the mood to stay in a hostel, there are some good hotels and airbnb rentals in the city. 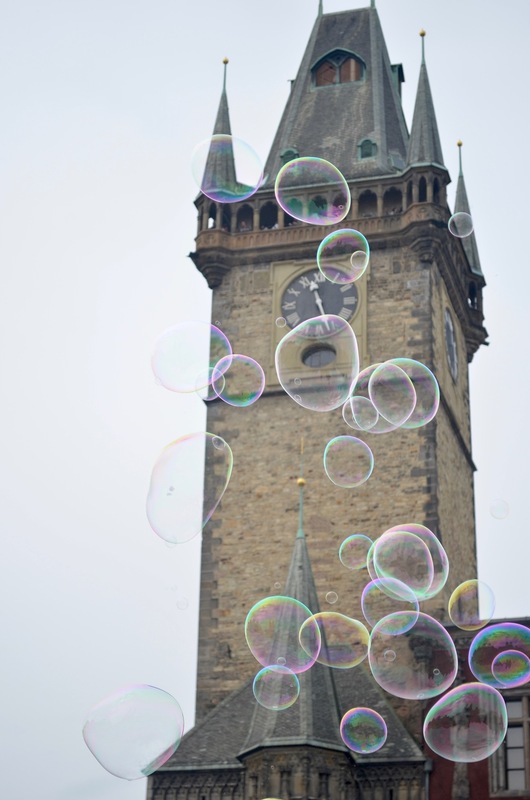 Check out where you can live like a Czech local. 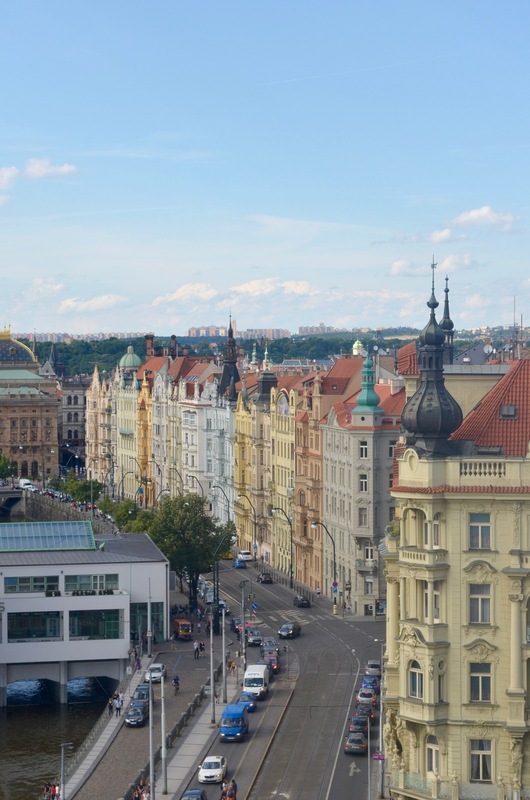 Transportation on the trams and underground is easy and inexpensive, in addition to Prague being the perfect place for strolling, so I suggest saving a few dollars and staying outside the city center. 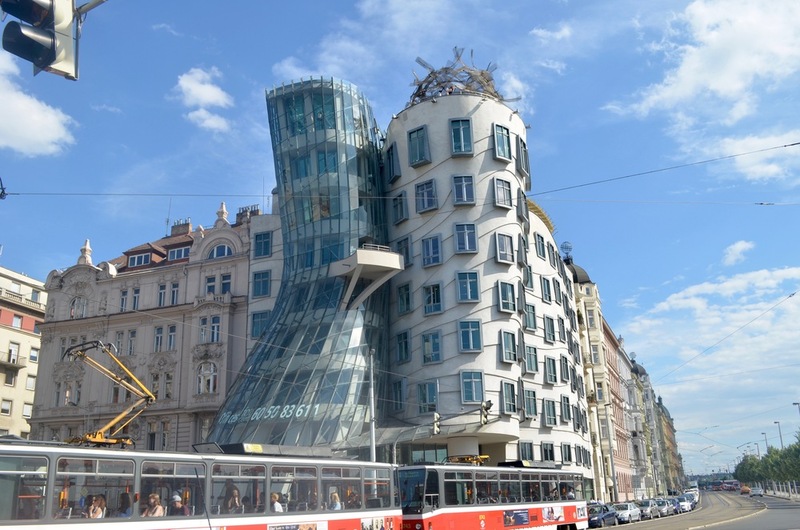 Check out the Dancing House while you're in Prague--plus the views from the (surprisingly affordable) cafe at the top are not to be missed!